What's the cheapest rental available in Chicago, right now? According to rental site Zumper, median rents for a one-bedroom in Chicago are hovering around $1,525. But how does the low-end pricing on a Chicago rental look these days -- and what might you get for the price? Listed at $575/month, this studio apartment, located at 954 E. 84th Place in East Chatham, is 50.6 percent less than the median rent for a studio in Chicago, which is currently estimated at around $1,165/month. Pets are not permitted on this property. According to Walk Score, the area around this address is very convenient for walking and biking, and offers many nearby public transportation options. Here's a studio apartment at 8033 S St. Lawrence Ave., #3B in Chatham, which is going for $595/month. In the unit, expect to find carpeted floors. Pets are not permitted on this property. Walk Score indicates that the surrounding area is very suitable for walking and biking, and boasts convenient transit options. 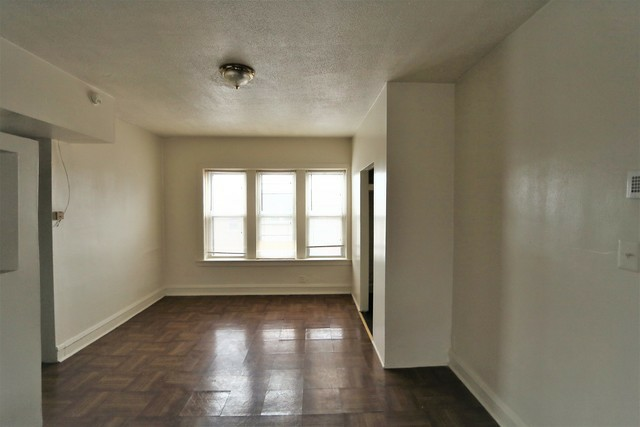 Then there's this apartment at 2620 W. 64th St. in the Marquette Park, listed at $650/month. In the unit, anticipate hardwood flooring. Neither cats nor dogs are welcome. Look out for a $250 move-in fee, $40.00 application fee. According to Walk Score's assessment, the area around this address is friendly for those on foot and bicycle, and offers many nearby public transportation options. Next up is this studio, located at 6243 S. Ashland Ave. in the Englewood and listed for $650/month. In the unit, look for hardwood flooring and high ceilings. Pet owners, inquire elsewhere: this spot doesn't allow cats or dogs. There's no leasing fee required for this rental. Per Walk Score ratings, this location is friendly for those on foot and bicycle, and is a haven for transit riders. Finally, there's this 693-square-foot one-bedroom, one-bathroom space at 8122 S. Drexel Ave., #2N in East Chatham. It's being listed for $675/month. In the unit, you'll find plenty of natural lighting. Cats and dogs are not welcome. There isn't a leasing fee associated with this rental. Per Walk Score ratings, the area around this address is very walkable, offers some bike infrastructure and boasts many nearby public transportation options.